Planning work can be tricky when people take vacation time. It is important to know if resources are available to take up tasks and issues. Our Zoho People integration does just that. Click to learn more about access privileges for Zoho Apps integration. Find out if users are available to take up work when creating tasks or submitting issues. Balance workload from the resource utilization chart based on their availability. 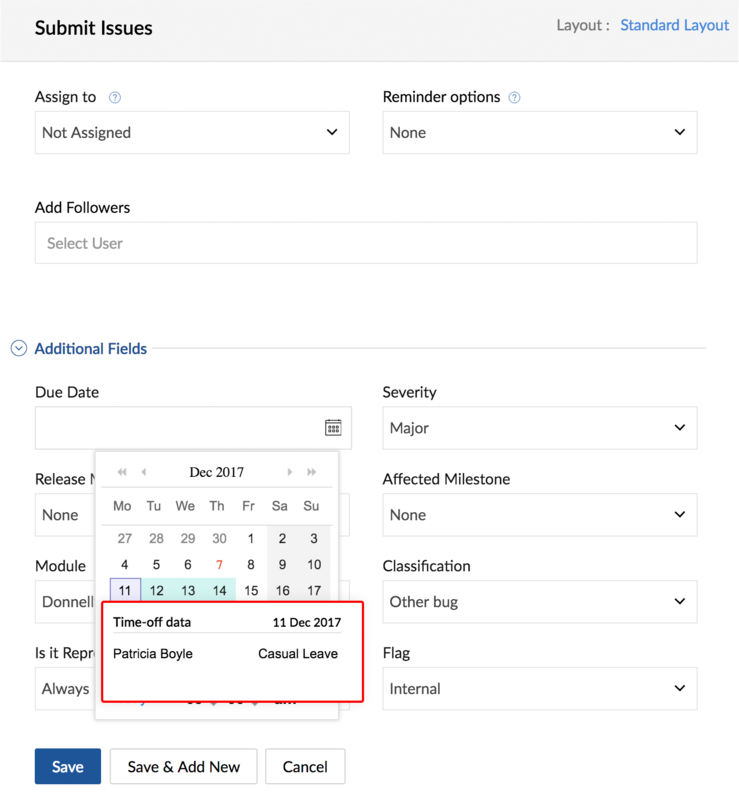 Apply for time-off from the calendar module. Approve or reject leaves keeping project requirements in mind. And you can do all this from Zoho Projects. Let's run through the setup and usage. 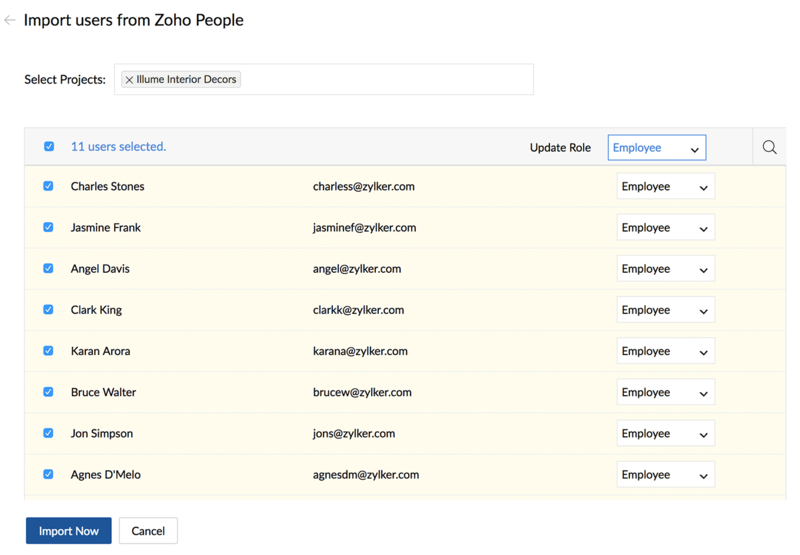 You will need to configure Zoho People integration before you start viewing time-off requests. Navigate to > Integration > Zoho Apps. 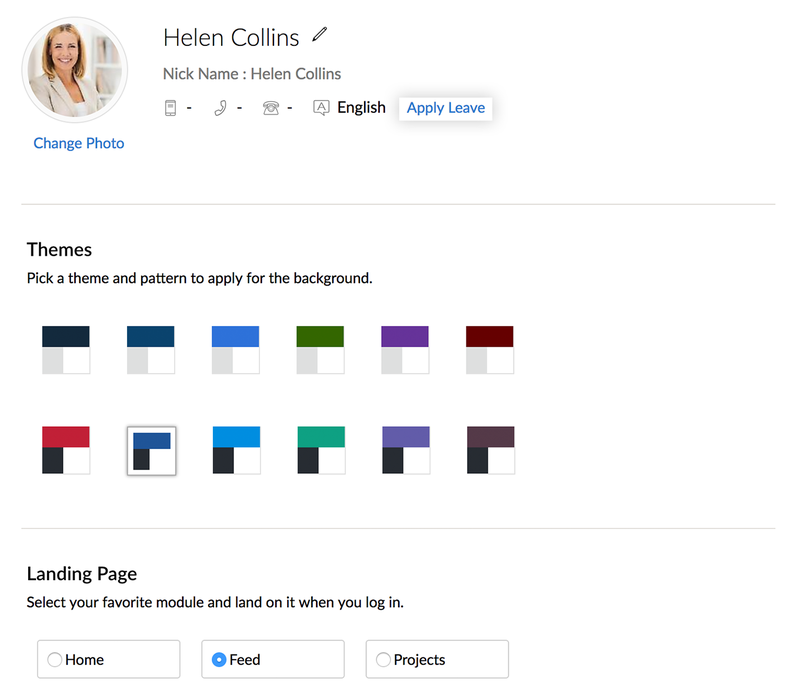 Click Configure in the Zoho People tile. Click Configure in the next screen to enable the integration. Ensure you have users in your Zoho People portal. Select the users to import and then click Import Now. 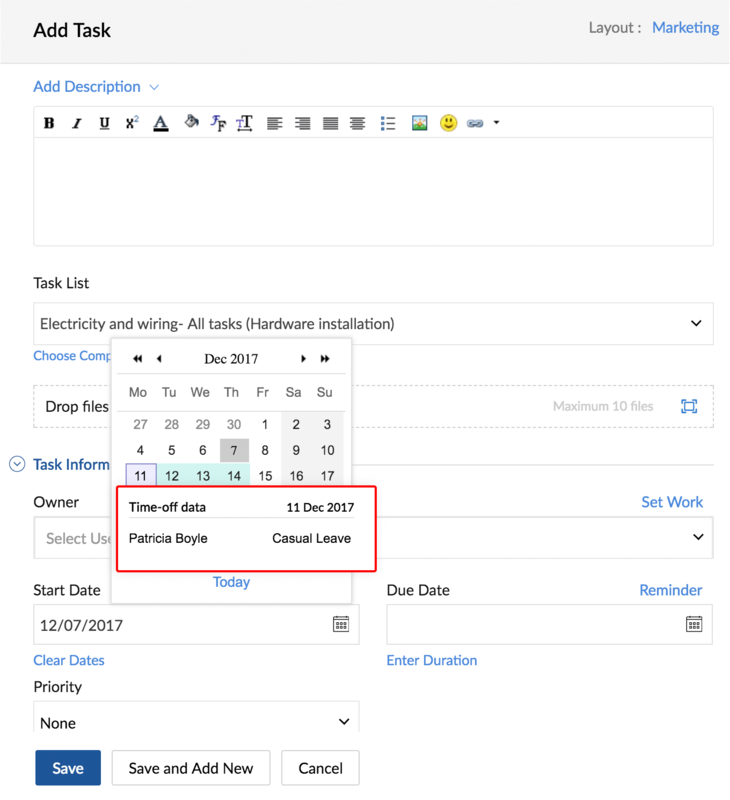 You can check time-off data when adding a task using the calendar in the Start Date or Due Date. Click on the calendar in Start Date or Due Date field. Hover over the date to see the users who have taken their time-off. Click on the calendar in Due Date field. Users can apply for time-off from the Calendar module, User Profile page, and Activity Stream. Select any date to view the Calendar Activity. Enter your details and click Save. Your Manager/Lead will receive a notification after you apply for leave. Leave request will also be pushed to their Feed. Navigate to > Personal Preferences > User Profile. Enter the details and click Save. Navigate to Feed > Activity Stream. View time-offs from your calendar. Navigate to calendar and check if users are not available on any given day. 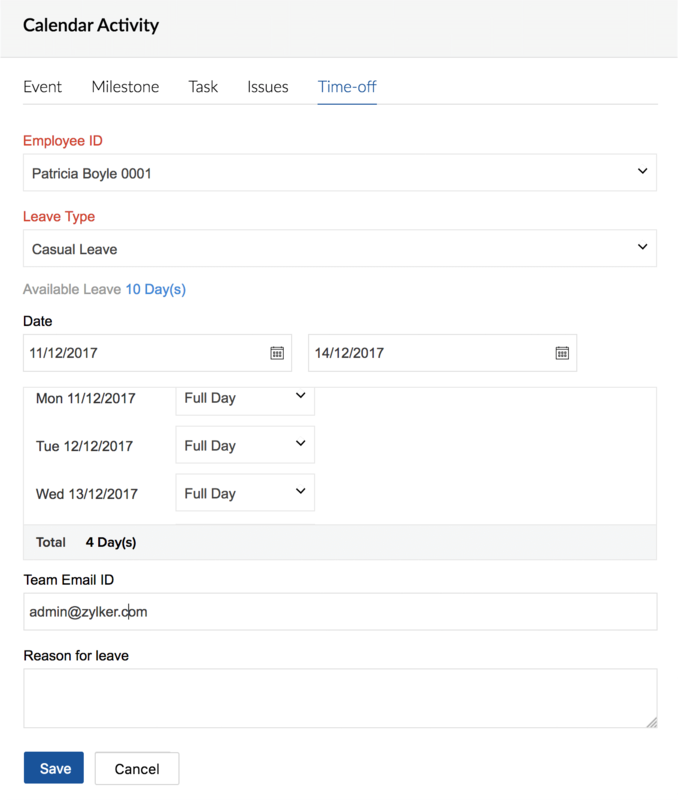 You can also filter your calendar by leave to view only the time-off data. Managers/Leads can view, approve, or reject leaves from the Home dashboard. The My Approval widget also lets you approve or reject leaves in bulk. Navigate to Home > My Approvals. 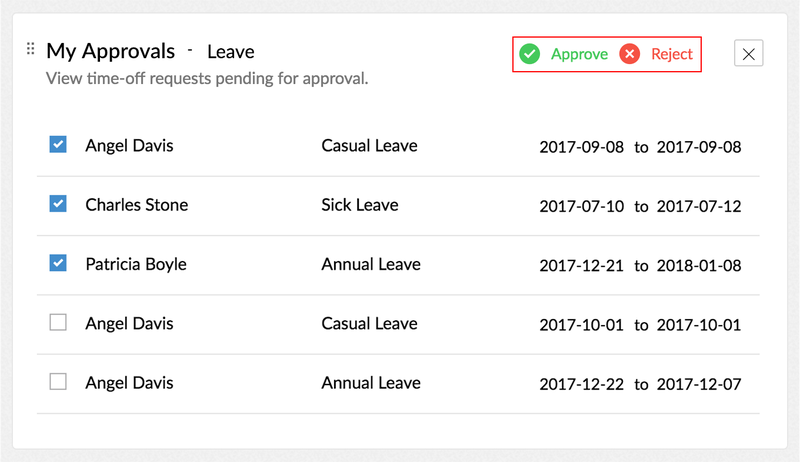 Hover over leave requests to see Approve and Reject options. Select multiple entries to view bulk Approve and Reject options. Users will receive notification when a leave is approved or rejected. Information will also be pushed to their Feed. The Resource Utilization Chart let's you check work load of resources and balance them if necessary. Zoho People integration now let's you see their availability from the chart. 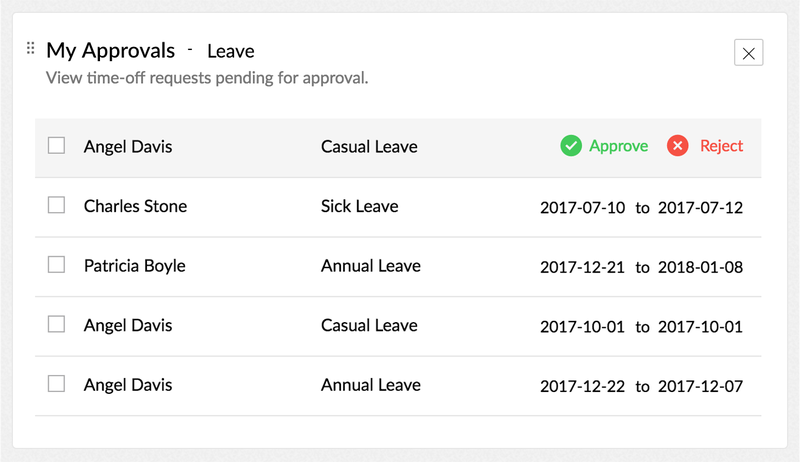 Hover over a date to check if a user is on leave. indicates that the user in on leave.